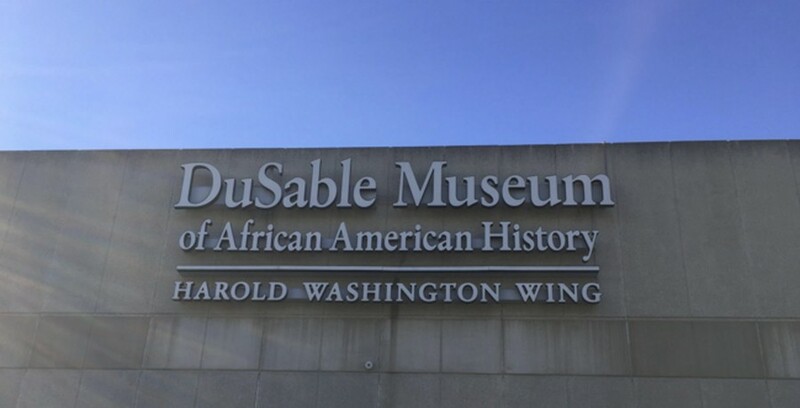 The DuSable Museum is a Hyde Park mainstay and historical treasure trove which remains woefully underutilized by students. On the edge of the University of Chicago campus sits a nearby yet often overlooked resource. The 55-year-old DuSable Museum of African American History is currently showing an exhibit titled Freedom, Resistance and the Journey Toward Equality. This exhibit, which opened last summer, contains over 200 objects, archival videos, and images narrating a story spanning from the early Slave Trade to the election of the first African American president. While the exhibit itself does not focus exclusively on Chicago, it does feature a few key artifacts of Chicago’s past. Chicago has long been an important site for pivotal moments in black history. The end of the ’60s, in particular, was a dark time for the city of Chicago. While American soldiers were entering Vietnam, thousands of Americans at home marched for racial, religious, and gender equality. While preparing to host the Democratic National Convention of 1968, Chicago faced antiwar protests objecting to the Nixon administration’s actions in Vietnam. Over 10,000 people descended on Chicago to participate in the protests, which lasted for five days. Police and protesters clashed in Grant Park on August 28, the third day of the protests—a fight that ended in tear gas. Following the incident, police raids on black institutions burned through Chicago like the Great Fire, including one at the offices of the Black Panthers. Entering the galleries of the DuSable museum, there is a poster mounted on a door riddled with bullet holes. 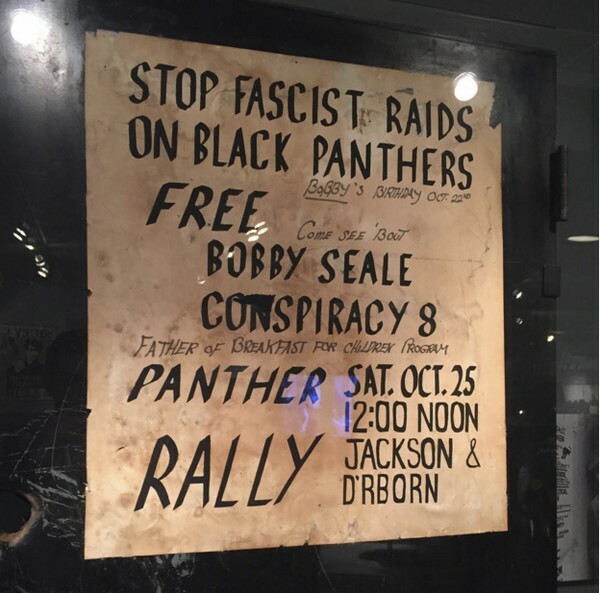 It reads: “STOP FASCIST RAIDS ON BLACK PANTHERS.” The poster serves as an artifact of these 1968 raids. But why target the Black Panthers? The “STOP FASCIST RAIDS” poster and the bullet-riddled door on which it is mounted are potent reminders of Chicago’s history of racial unrest. The Black Panther movement evolved out of the generation of black youth growing up in the wake of the Great Migration. This generation faced new conditions of poverty and racism, and the Black Panthers sought to develop a dynamic political platform to address them, instituting a variety of social programs like Free Breakfast for Children and community health clinics. All the while, police forces ruthlessly targeted their headquarters. When not a day goes by without a headline highlighting CPD racial targeting, posters like those at the DuSable Museum serve as reminders of how far back the history of police brutality stretches. Chicago harbors a rich cultural history, but there are few museums housing these artifacts. Taking a trip to the DuSable Museum is a way to discover parts of Chicago’s past one may be unfamiliar with. The DuSable Museum of African American History is open Tuesday–Saturday 10 a.m.–5 p.m., Sunday noon–5 p.m. Admission is $10, $7 with student ID. Additional discounts are available for Chicago residents and students. The museum is located in Washington Park at the corner of 57th Street and Cottage Grove. For more information about special events and current exhibitions please visit: http://www.dusablemuseum.org.